The next Single Player Injustice Mobile challenge is here. 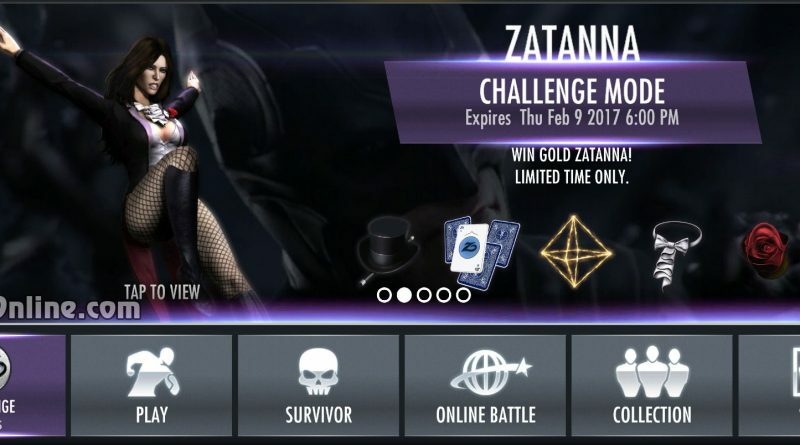 This time you will have the chance to obtain the very rare Zatanna Zatara gold card. 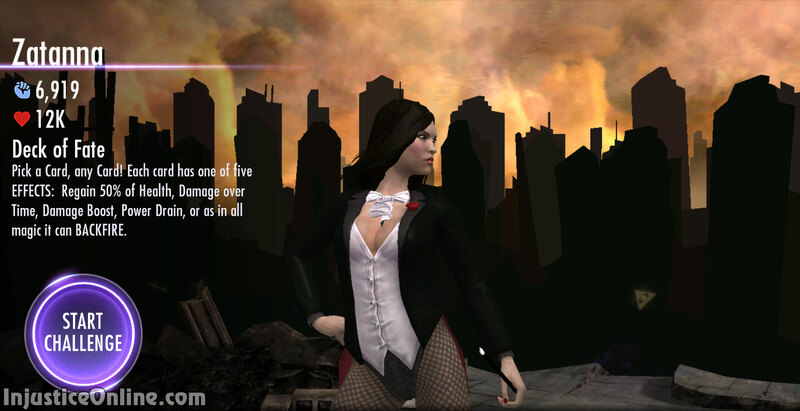 Zatanna is one of the DLC characters from the console version of Injustice: Gods Among Us. Description: Zatanna can pick a card (using 2nd special) to gain 50% of health, damage over time, damage boost, power drain, or like all magic, it can BACKFIRE. 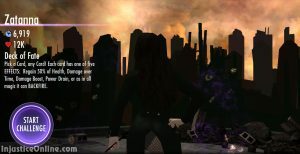 To beat this challenge you must have Harley Quinn, Bane and Black Adam on your team. There are Bronze/Silver versions of all of them so this requirement should not be a problem even for newer Injustice Mobile players.